Located in central Anatolia, Ankara is the capital and second largest city in Turkey. As of 2007, the city had an estimated population of 5,019,167. Angora goats are goats from the area that produce a fine soft wool, which is known in English as "mohair". Angora cats (Turkish: Ankara Kedisi) are a unique breed of cats from the area. They have a silky coat, and although usually known for their white color, there are in fact many varieties including black, reddish, tabby. Angora wool which comes from the coat of the local Angora rabbit. Angora wool is usually blended with sheep wool before being made into garments. 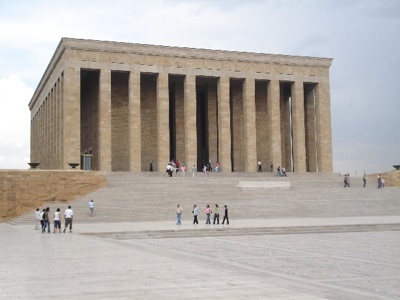 When you visit Ankara, there are many ancient sites in the area that you will want to see. These include Hittite, Phrygian, ancient Greek, Roman, Byzantine and Ottoman sites. The most famous of these sites is the Temple of Augustus and Rome (also known as "Monumentum Ancyranum"), which dates back to 20 BC.